Dr. A.P.J. Abdul Kalam Technical University (AKTU) will be conducting UPSEE 2019 tentatively in the fourth week of April for all eligible candidates. UPSEE 2019 is a state level entrance examination which offers admissions into the participating engineering institutes. Registrations for UPSEE 2019 will commence tentatively in the third week of January. Final date to fill and submit the application form of UPSEE 2019 will be tentatively in the fourth week of March. Only the registered candidates will be able to access their admit card, which will be published in online mode. All candidates will have to meet the eligibility criteria of UPSEE 2019 to participate in the examination. Allotment of seats will be done on the basis of ranks secured in the examination. There are around 400 engineering institutes which offer admissions through UPSEE. For detailed information about the important dates, eligibility criteria, application process and more of UPSEE 2019, read the full article. The authorities will be releasing the online application form of UPSEE 2019 tentatively in the third week of January. All candidates will be required to fill and submit the application form to be registered for the entrance examination. Since ineligible applications will be rejected, the candidates are advised to read the official eligibility criteria before commencing the registration process. Registration – The candidates will have to register by providing their personal, educational and communication details. Selection of course and examination city centre has to be done according to their preference of the candidates. A unique password also has to be created by the candidates. The application number will be sent to the registered mobile number of the candidates. Uploading of Documents – Next, the candidates will have to upload the scanned images of their photograph and signature as per the specifications mentioned by the authorities. 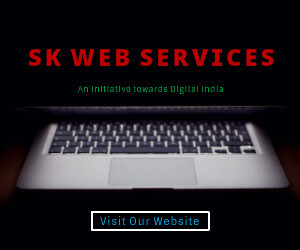 Payment of Application Fee and Printing of Confirmation Page – The application fee has to be paid by the candidates through online mode i.e., net banking/debit card/credit card. The transaction number has to be kept safely for future use. Print out of the confirmation page has to be taken out by the candidates. Paper 1 is conducted for regular B. Tech courses. Paper 2 is for B. Tech in Biotechnology. And Paper 3 is for admission to B. Tech in Agriculture. The following table explains in detail the subject-wise syllabus of Paper 1 & 2 for the B. 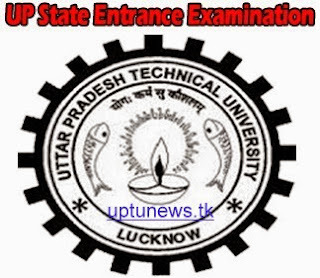 Tech program of UPSEE 2019 exam. We’ll also take a look at the syllabus for the remaining papers. Please note that these topics are from the previous year’s entrance exam. And the syllabus for the UPSEE 2019 exam will be released by the authorities in due time. Physics: Topics > Law of motion and friction, Work, Energy & Power, Circular Motion, Physics and Measurement, Kinematics, law Of Motion, work energy and power, rotational motion, electrostatics, Kinematics, thermodynamics, kinetic theory of gases, Oscillation and waves, Electromagnetic Induction and altering Current, electronic Devices. Chemistry: Topics > Atomic Structure, Chemical Bonding, Chemical thermodynamics, Solutions , equilibrium, Surface Chemistry, equilibria Involving both physical and chemical Process. Maths : Topics >Quadratic Equations & Linear Inequalities, sets relations and Functions, limits continuity and differentiability, integral calculus, sequence and series and differential equations. Biology: Topics > Origin of Life, Organic Evolution, Mechanism of Organic Evolution, Human Genetics and Eugenics, Applied Biology, Mammalian Anatomy, Animal Physiology, Plant cell, Protoplasm, Ecology, Ecosystem, Genetics, Seeds in Angiospermic Plants, Fruits, Cell differentiation, Anatomy of root, stem and leaf, Important phylum, Soil & Photosynthesis. As promised, let’s skim through the syllabus for the rest of the papers (i.e. Papers 3, 4, 5 and 6). Mathematics Part I : Topics > Wave Motion and Doppler’s Effect, Oscillations (SHM, damped and forced oscillations & Resonance), Kinematics, law Of Motion, work energy and power, rotational motion, electrostatics. Aptitude Test – Part II : Topics > subject attitude Check. Logarithm, quantitative queries, Numbers and logarithm. Drawing Test – Part III : Topics > Logo drawings, Logo-Re drawings and Image assumption drawings. This paper tests you in Engineering Mechanics & Graphics, Basic Electrical Engineering, Basic Electronics Engineering, Elements of Computer Science, Elementary Biology, Basic Workshop Practice and Physics/Chemistry & Maths of Diploma level. So, this was a look at the eligibility, important dates, and syllabus for the UPSEE 2019 Exam. We sincerely hope that this informative article helps you put your best foot forward while preparing for the upcoming tests. All the best for your preparations!